An extremely rare five prong bell and dorje set with iron handle and iron vajra -- Each set is made by a Tibetan family who have been making authentic bells and ritual items for more than 50 years. We have waited more than 18 months to have 10 bells made in this quality. As far as we are aware, this is the first time iron handled bell and vajra sets have been offered for sale in or outside of Asia in recent times. Each iron handle and vajra are carved entirely by hand and this requires incredible skill as iron is notoriously difficult to work with. Since there are few who can successfully undertake this kind of workmanship, we are incredibly fortunate to be able to offer them here. This particular Dharmachakra style is favoured by all schools of Tibetan Buddhism. Iron has been a sought after metal for ritual phurbas and vajras since ancient times and very precious objects are believed to be made from meteoric iron. Iron has a unique feel and is often seen to have a more wrathful quality than other metals. These bells display a protective vajra fence in between a double row of pearls. Above this are the traditional row of dharma wheels (dharmachakra) and this represents Buddha Shakyamuni's path to enlightenment. Above this is a another row of vajras that symbolise the 16 emptinesses. Above this is an eight petalled lotus seat for the eight bodhisattvas and their consorts. 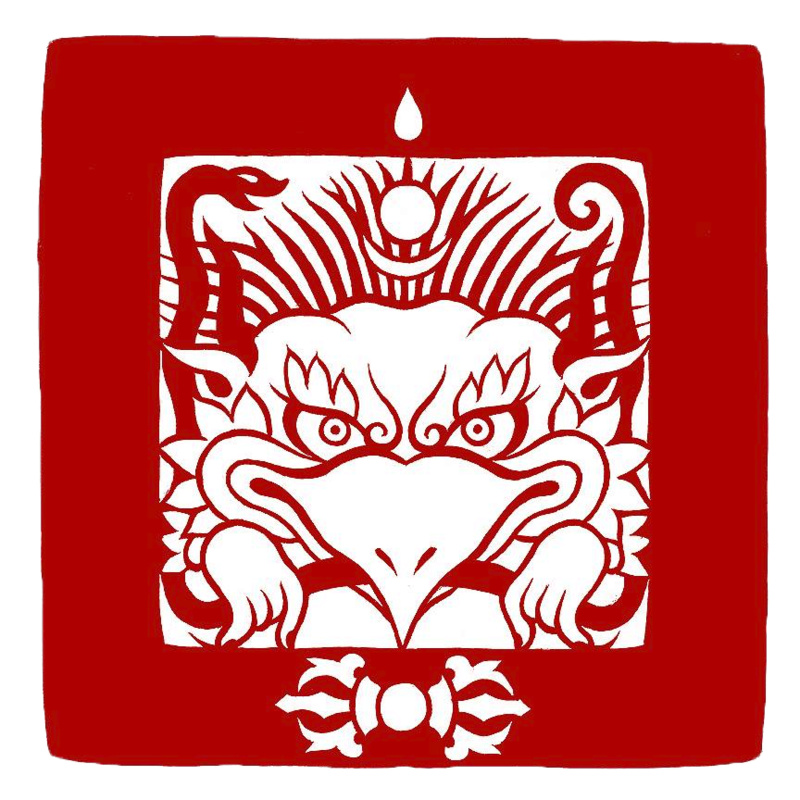 The five prongs of the vajra represent the five wisdoms and the five Buddha families. They have a vibrant sustained tone of excellent quality! Material: 5 metal bronze alloy bell with hand carved iron handle and iron vajra. Each set comes with a protective bell case. Each iron handle and iron vajra are hand carved and so please expect very slight differences between sets. All are finished to the same high standard.